Card offers visitors 4 green fees for the price of 2. December has arrived and that can mean only one thing… no, not temporary greens and chilblains… it’s Christmas. What joy! An entire month of listening to Christmas tunes older than Attila the Hun… or Mick Jagger. If there was one shop – just one – that decided not to play Christmas music from dawn till dusk, day in, day out, I reckon that shop would be minting it. 1. Declares who he thinks should Captain the 2018 US Ryder Cup team? Nigel Farage must fancy his chances. 3. 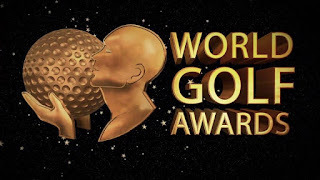 Claims that one of his many courses is the best course in the world… again? 4. Tries to influence the R&A to move the Open Championship to Aberdeen or Turnberry? With only two weeks left to go to book your place (single or two-ball) for this golfing challenge, things are warming up nicely for the Golf Voyager event in the Algarve. 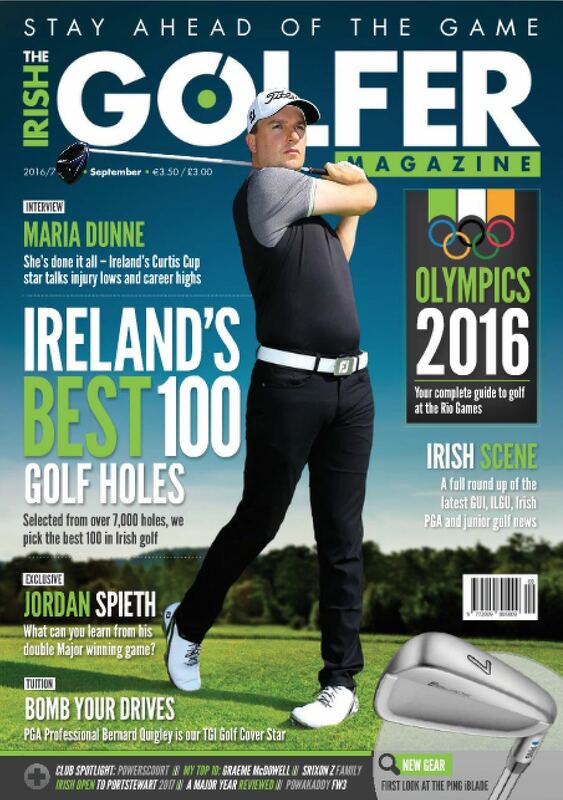 If you're passing your clubhouse in the coming days pick up a copy of the Irish Golfer Magazine. 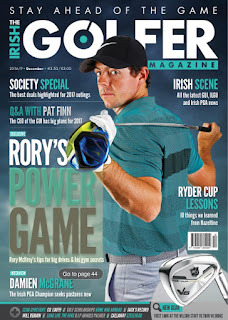 The new issue is just out and is distributed free to most golf clubs. Alternatively, you can read it online, here. It's a fantastic magazine... but then I would say that. 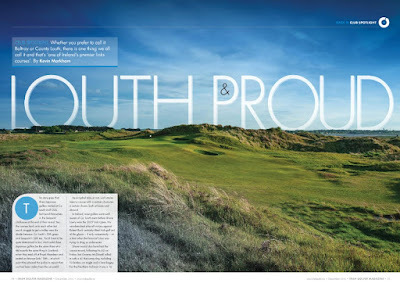 There are two of my articles in the mag this month: the first is a course feature on the links at Co. Louth; and the second is a lengthy review of over 40 Irish golf courses and the society offers available over the next 12 months. The current changes being made at Co Louth focus on a new short game area around the clubhouse. 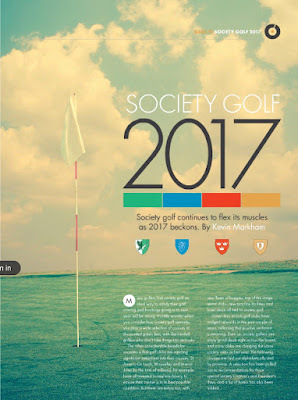 The article talks about what makes this links so special. 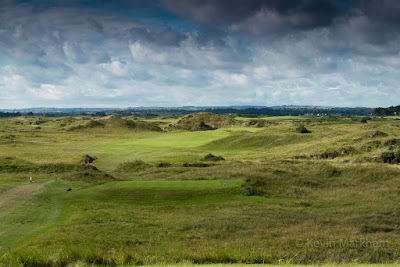 The par four 14th at Co. Louth - short, no bunkers and lethal. Condé Nast has bestowed on the Irish tourism industry – and Irish hotels and golf resorts in particular – an important mantle. 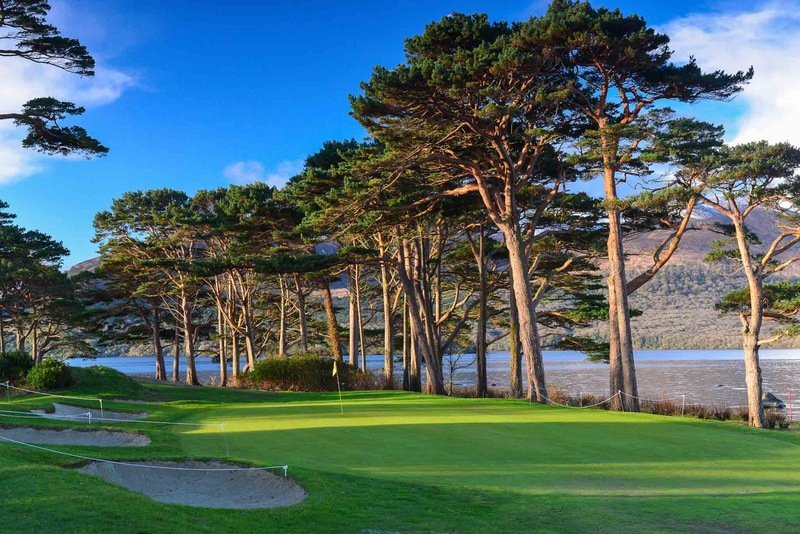 Following publication of the magazine’s Best Hotels of the World and Top Resorts in Europe awards, Ireland can boast several of the best hotels/resorts… and the number one hotel in the world. 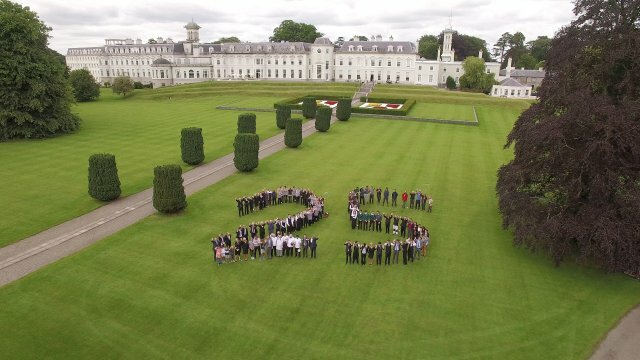 Take a bow Ballyfin Demesne. Condé Nast’s 300,000 readers awarded the hotel a score of 99.11 out of 100. For those of you who don’t know Ballyfin, it’s a few miles outside Portlaoise. With only 20 rooms and a 614-acre estate this is serious hideaway luxury. The hotel is a former Regency mansion which took eight years to renovate. Ballyfin’s guests might not be too interested in golf but there are some excellent/fun courses close to hand - Mountrath and Portarlington most notably. 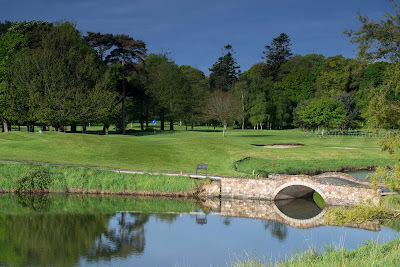 Not surprisingly, however, the Ballyfin website only lists the glamour courses, with the nearby Ballesteros course at The Heritage mentioned alongside the K Club (81 km) and Mount Juliet (78 km). It’s all about luxury, darling. The K Club's charming par three beside the River Liffey. The other two hotels in the top ten have stronger ties to golf. In 9th place is The Lodge at Ashford Castle, Co Mayo, which enjoyed a €68 million makeover in 2015. 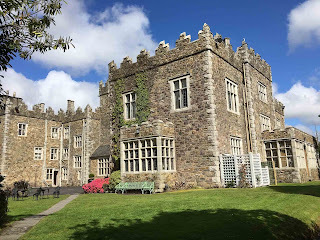 It is separate to the renowned and multi-award winning Ashford Castle next door, but it is owned by the same group (Red Carnation Hotels Collection). 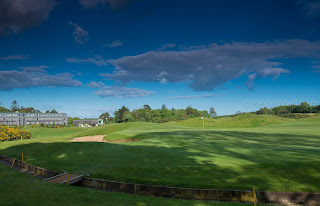 Far more importantly, they share a 9-hole golf course on the castle grounds – designed by Eddie Hackett, no less. 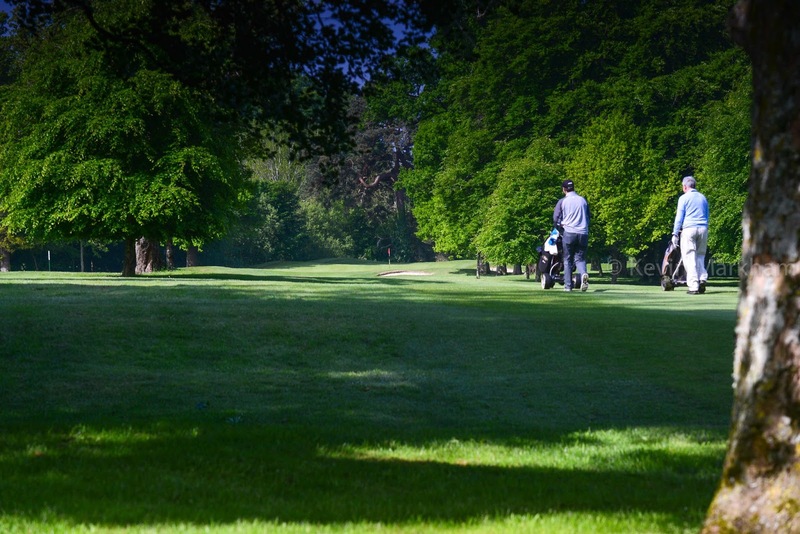 What better way to warm up for dinner than with a quick spin round the course. 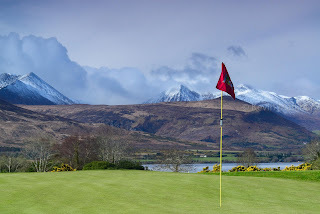 Golf is complimentary to hotel guests, although the links at Connemara may prove irresistible as the drive through the Connemara landscape and the scenery on offer from the course are breathtaking. 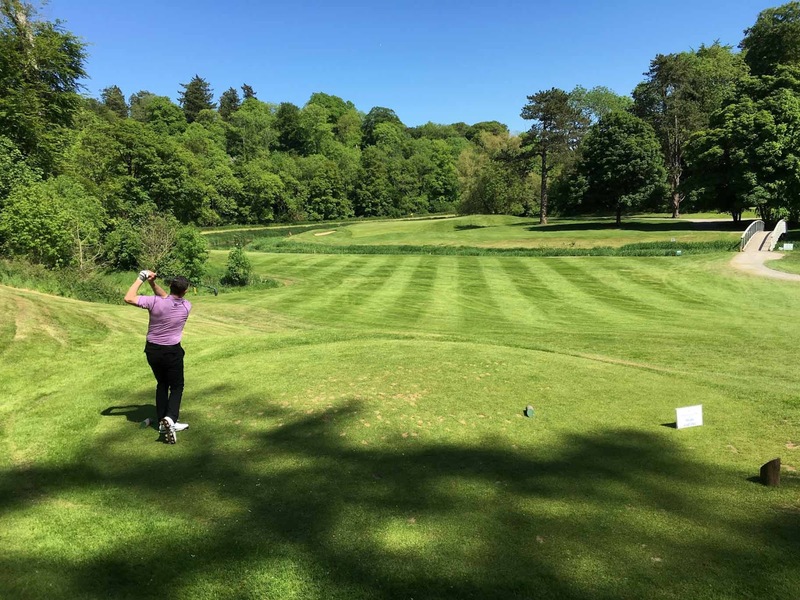 In 7th position is a resort far more familiar to golfers: Waterford Castle has been investing heavily since being taken over in March 2015, and the golf course has benefitted as a result. 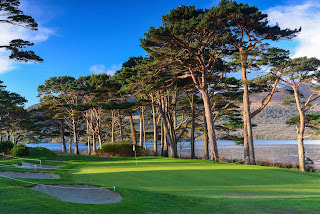 Yes, the hotel receives all the plaudits (including the Michelin-starred Munster Room restaurant) but the 18-hole golf course is stretched across this 310 acre island and you have to take a private ferry to get here. 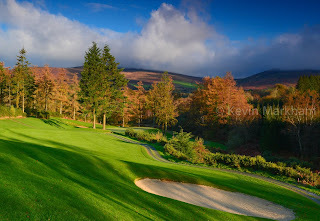 Of the top 25 European resorts, four are in Ireland… and all four have their own golf course! 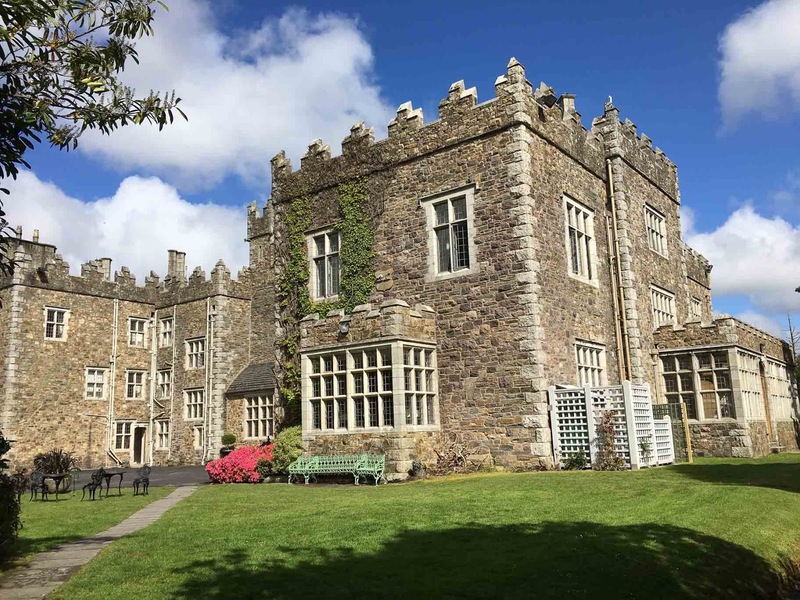 In 5th place is Ashford Castle – see The Lodge at Ashford Castle above. 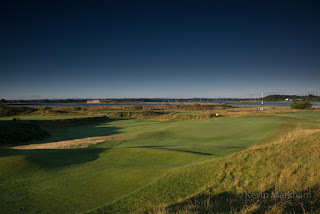 In 20th place is Trump International Hotel & Golf Links. 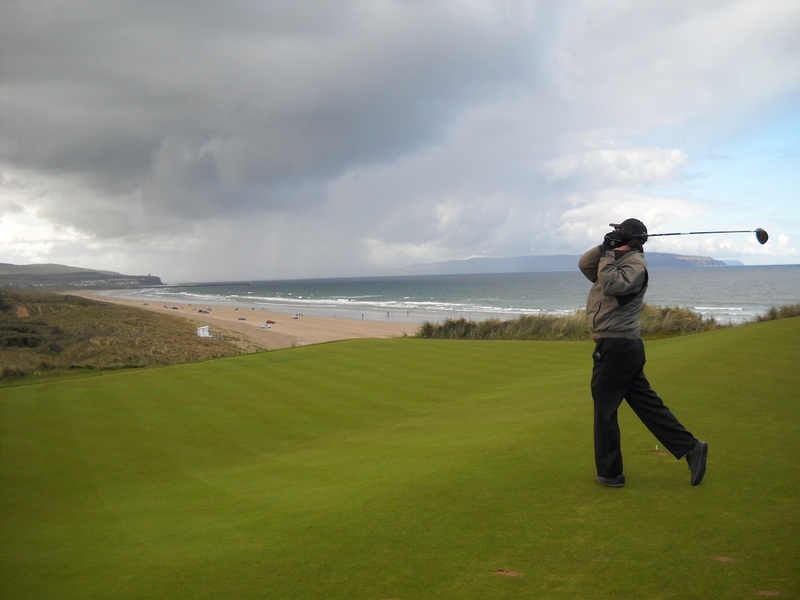 Investment is the name of the game for most of the Irish hotels and resorts on these two lists… and Doonbeg is no different. 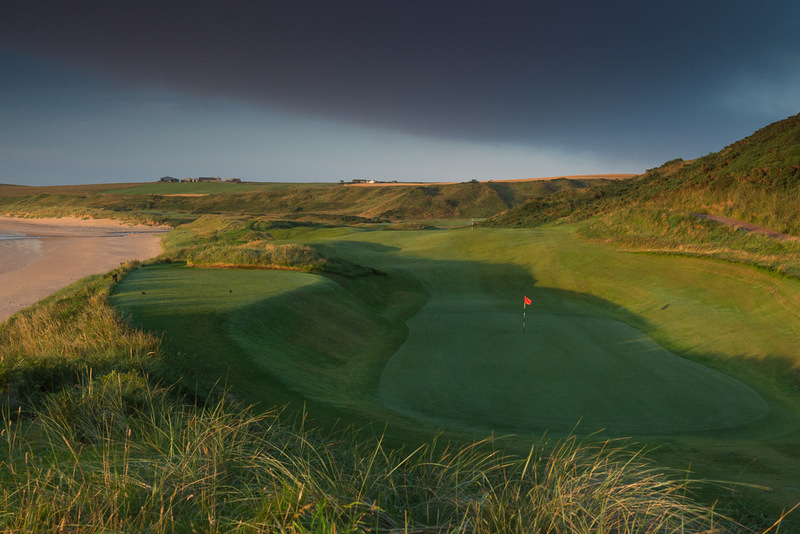 The Greg Norman-designed links course received the Martin Hawtree treatment over the last two years, opening for full play a few months ago. In 21st position is Adare Manor Hotel & Golf Resort. 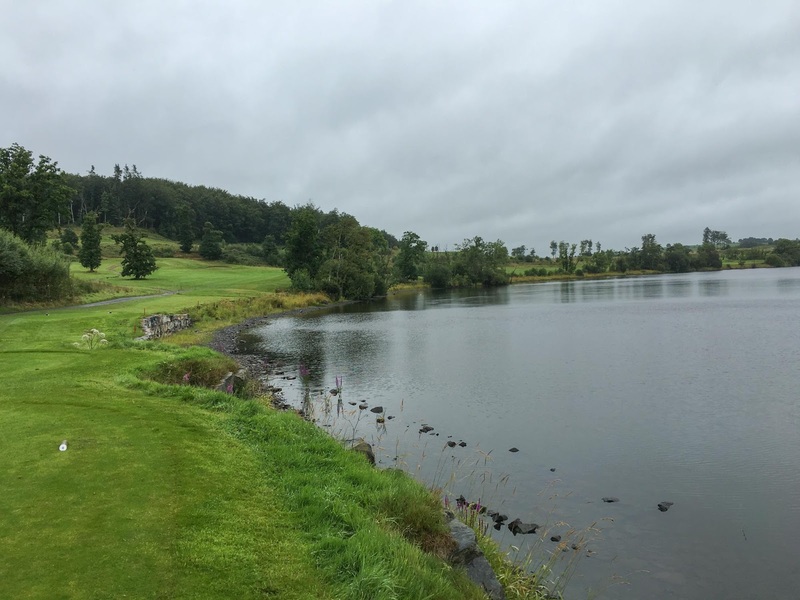 I rate the course as the best parkland in Ireland, but let’s not forget that the entire resort is currently closed as it enjoys a multi-million makeover. Talk of Fazio’s redesign has golfing pundits salivating. And when it re-opens (2017 is planned) the resort should rise up these rankings. 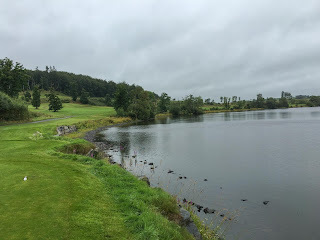 The final resort is Dromoland Castle, at number 24. 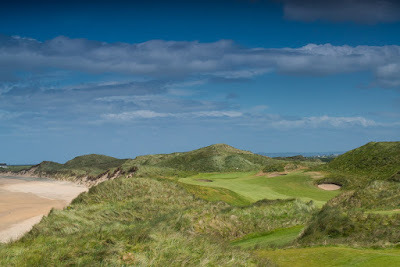 Personally, I think the parkland course which wraps around the castle is hugely under-rated. It has everything you could ask for in terms of variety and challenges and beauty. These Irish winners are luxury destinations and are therefore beyond the reach of many Irish golfers, but if these awards make international travellers sit up and take notice of what Ireland has to offer then that can only be a positive thing. After all, Condé Nast carries a lot of weight. 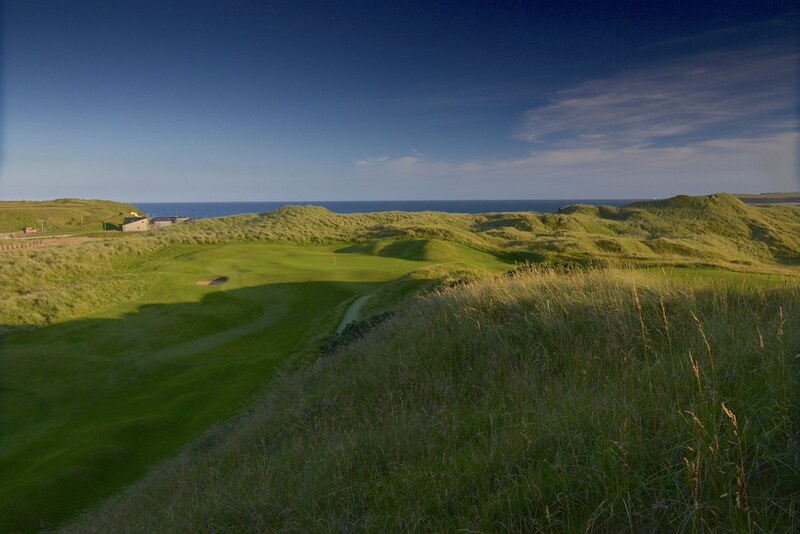 And, even if you don’t stay, there’s nothing to stop you playing the golf courses. When was the last time you entered a prize draw for anything… and won? A car, a holiday, a cuddly toy… I once won a tee shirt when I was 14, and then a Sega Megadrive thing some 25 years later. My guess is that I’ve done better than 95% of the population when it comes to winning ‘free’ stuff. 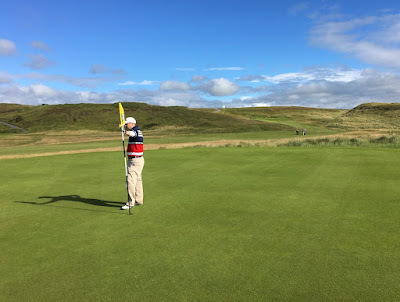 I’ve never had an issue admitting that I’m wrong about a golf course… some courses which I simply loved a few years ago have waned slightly as I have played them again or played their peers and – how shall I put this – rebalanced my opinion. 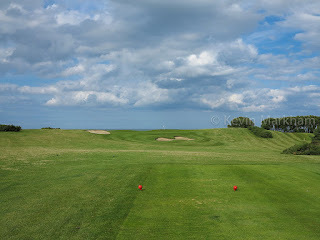 Of course, the same is also true: a course I was distinctly tepid about has warmed my heart the more I have played it. Surely you feel the same way yourself! And then there are the courses where your feelings never change. You love ‘em, or you hate ‘em and nothing’s going to alter your view. 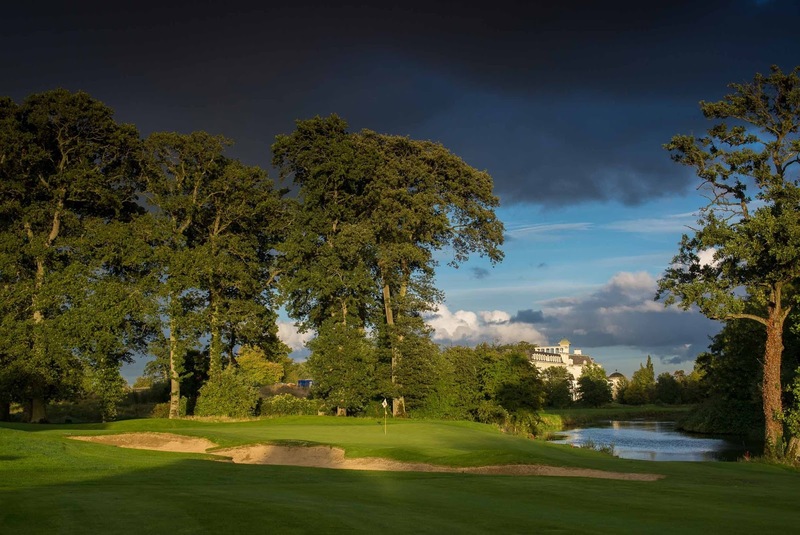 The Irish Golf Tour Operator Association (IGTOA) had its annual shindig in north Dublin earlier this week… culminating with a black tie gala dinner and awards at the Grand Hotel in Malahide. So here’s a list of the winners who can bask in a little home-grown love for the next year. 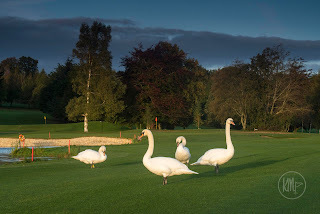 Swans causing slow play at Rathfarnham... tsk! It’s not often you get to visit six Irish golf courses in a day… the fact I was trying to make it to seven is beside the point… but needs must. And visiting Ireland’s finest is hardly a hardship. A 550 km tour from Wexford-Dublin-Baltray-Mullingar-Kinnegad-Dublin-Wexford. 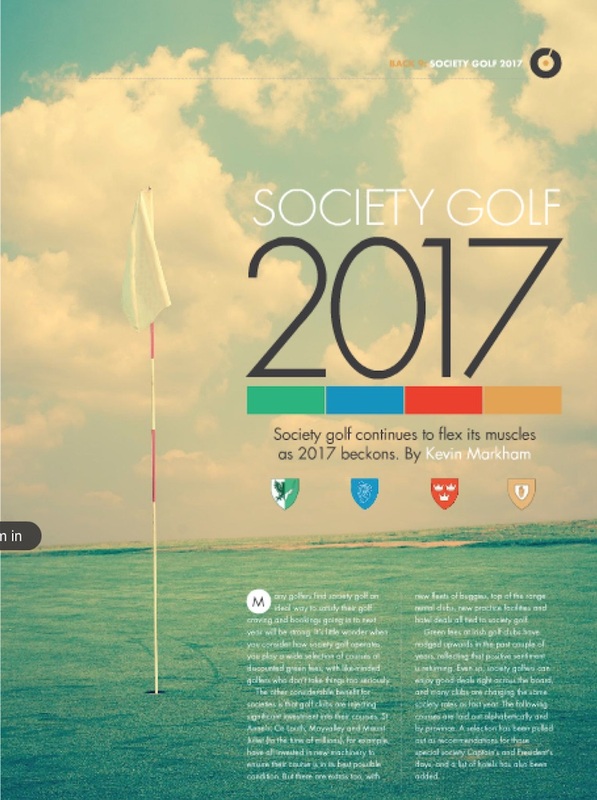 There have been numerous interesting developments in recent weeks as the summer/autumn golfing season begins to wind down. No question, we’ve had a great couple of weeks and for those lucky enough to have been on the golf course, many have been basking in sunshine. It should inspire the warm-weather golfers to keep going a bit longer. 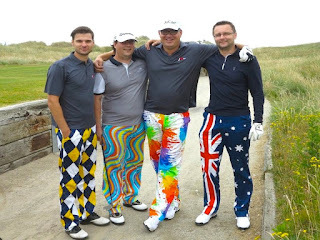 Who among us doesn't love the Ryder Cup? Seriously, if ever golf needed to stir passions all the powers-that-be need to do is look at and learn from the Ryder Cup. Every hole is a win or lose scenario... if only the Olympics would pay attention. 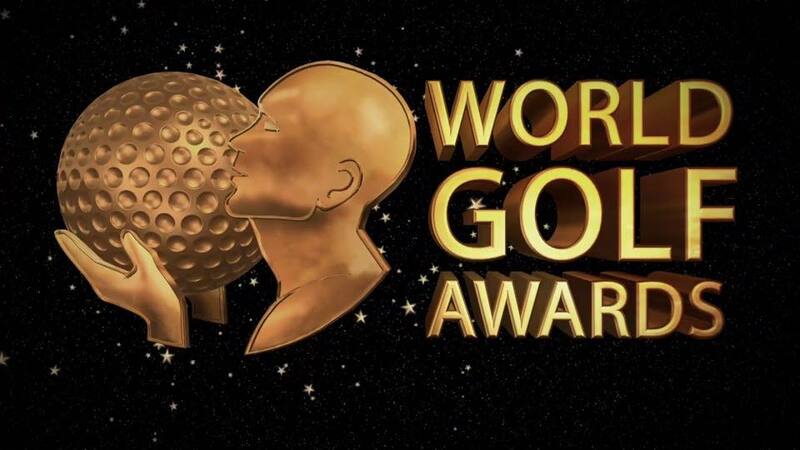 This is the way to show the world what golf is all about. True, a portion of the American fans proved PJ Willett 100% right, which is an omen of things to come. Those powers-that-be need to do something to stop the craziness because someone's going to get hurt. 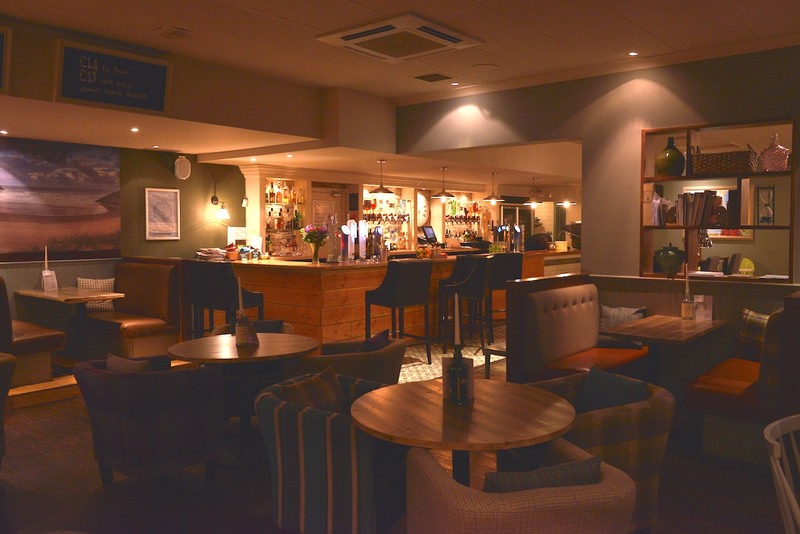 Stop serving alcohol at 7.30am perhaps? I've written two articles in recent days - one for the Irish Examiner and one for the weekly online Irish Golfer Digital+. 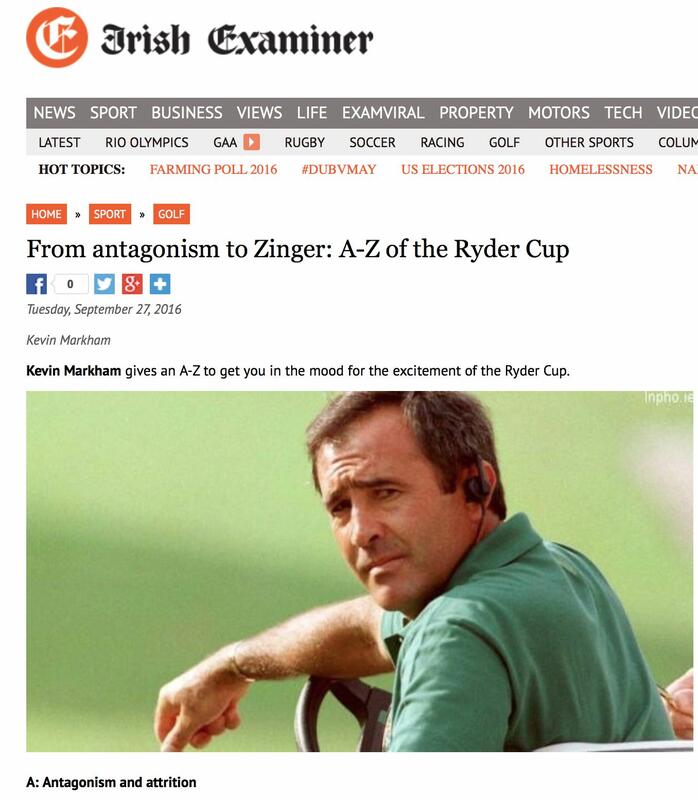 The Examiner piece focuses on the desire of the golfing world and media to generate a 'Blame Game' mentality. 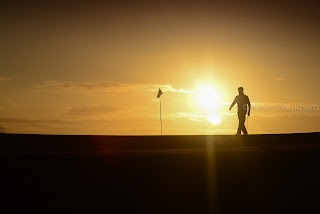 All the reasons for potential failure and who's to blame get lined up like dominoes... just waiting to be knocked down as soon as the winning putt drops. The other article is more tongue-in-cheek and addresses some 'questions' which get me riled up about the Ryder Cup... such as WAGS, merchandise, slo-mos and mashed potatoes. ... with a month long festival of celebration offers in August. in business at the K Club. 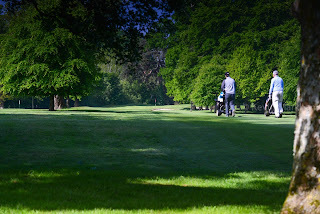 It's been a good year for the K Club - Rory McIlroy winning the Irish Open in such thrilling and dramatic fashion helped to showcase the Palmer course as one of Ireland's top parklands - and it follows on from an investment of some €20 million in the past couple of years, which saw the addition of a new 70 bedroom hotel wing, a new restaurant and bar. 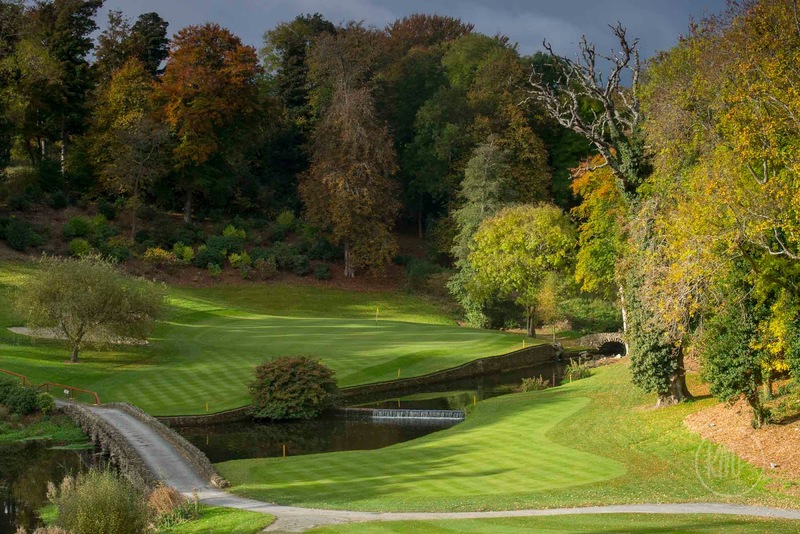 The green on Castlemartyr's par three 12th. So who got out there over the last two days and got baked? 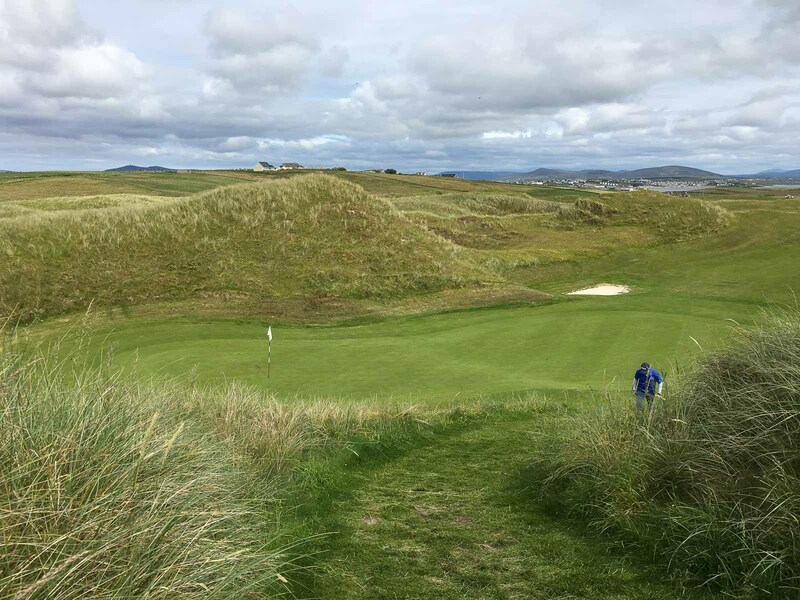 I was at Rathsallagh to take photographs and I left the club at 9.30am as a man walked down the 1st hole, an umbrella over his head. It was 25 degrees. 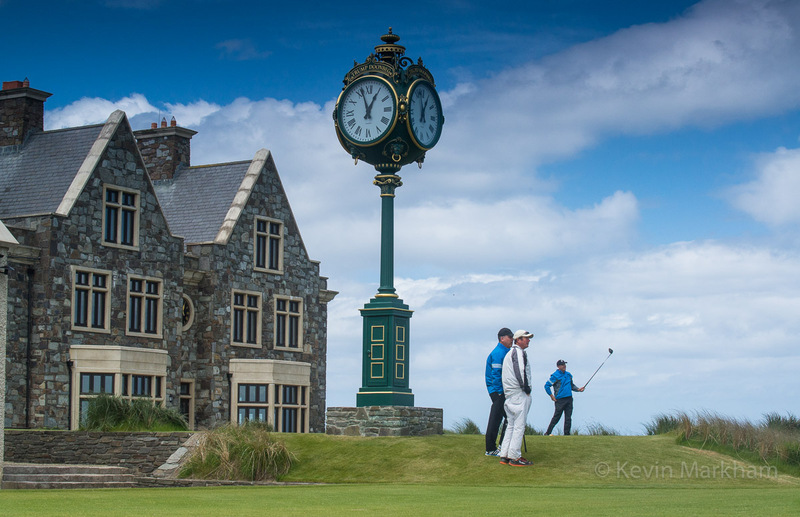 I don't write about the professional game very often but this year's Open Championship was truly special. The final pair of Mickelson and Stenson finished, respectively, 11 and 14 shots clear of the chasing pack with rounds of 65 and 63. That's phenomenal and puts them in a class apart... it made Rory's next-best-of-the-day 67 look almost trifling. Talk about a heavyweight bout as they punched and counter-punched, hole after hole. I'm delighted for Stenson... and gutted for Mickelson, even moreso as he lipped out for that history-making 62 on the first day. 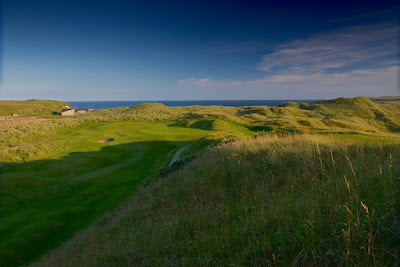 http://www.irishexaminer.com/sport/golf/10-major-moments-from-open-championship-history-409847.html - but it's safe to say that this Royal Troon dogfight will be added to item number 9 (Greatest Moments), right alongside the famous Watson/Nicklaus 'Duel in the Sun'. 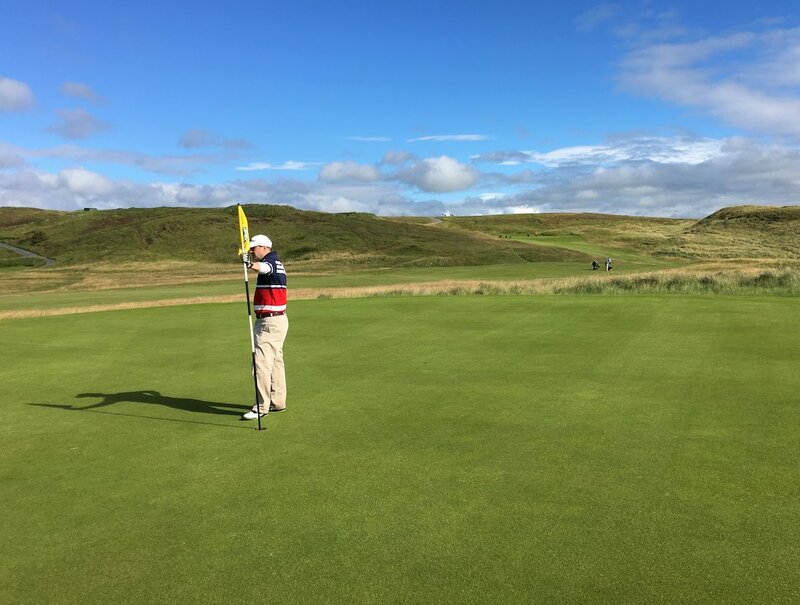 It's worth noting that Watson (-12) and Nicklaus (-11) were so far ahead of the field at Turnberry that Hubert Green, who came third with a score of -1, declared: "I won the tournament I played in". JB Holmes, who came third yesterday on -6, will probably feel the same way. 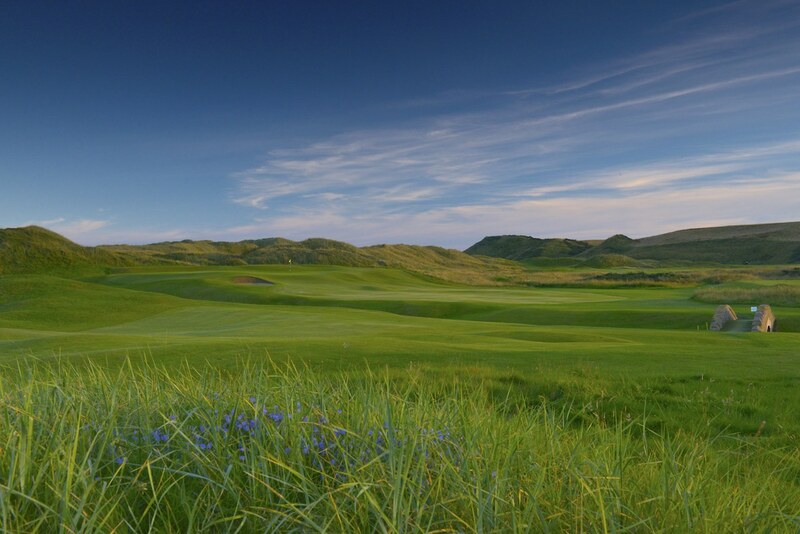 Well, there's little doubt that following Brexit and the slump in Sterling's value against the dollar, American golfers will be licking their lips at the prospect of a 15% discount (maybe more) in the cost of their golfing trip to the United Kingdom. The big question for me was: how good are Carne's greens? 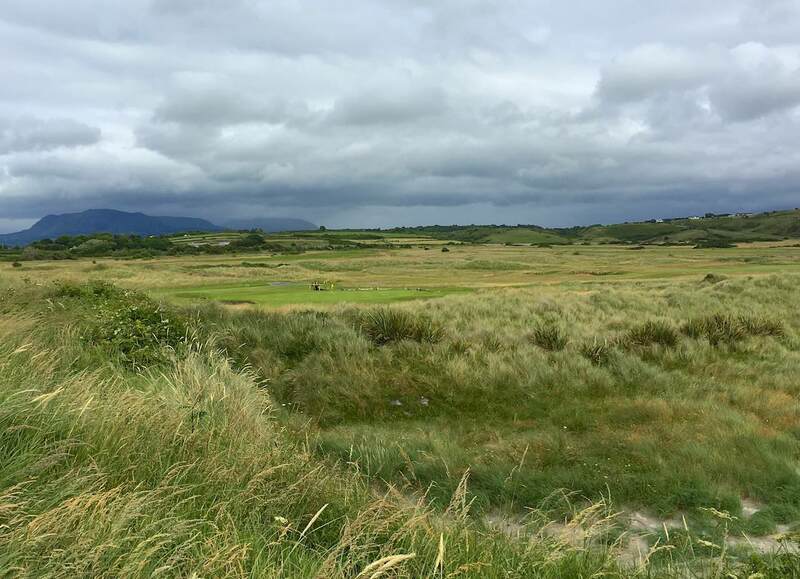 It's no surprise that Atlantic Coast Challenge chatter was dominated by weather on the first day of the 2016 event. 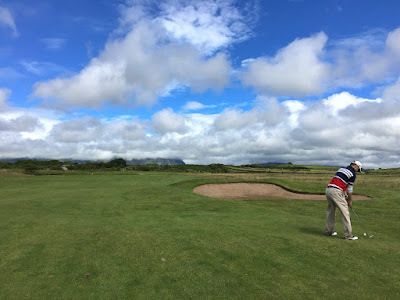 There was a brutal morning of rain and by lunchtime (when I arrived at County Sligo GC), sad and sorry-looking golfers were trudging off the 18th green, no doubt relishing the hot shower to come... and the not so savoury prospect of getting their kit dry before the next round. The group I passed were discussing the 38 points one of them had scored. Given the conditions, that was an impressive score to say the least. 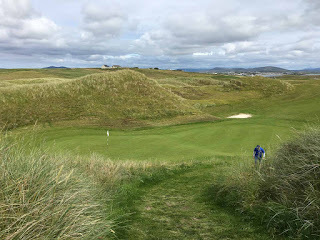 We may have been off the forward tees but the wind was up - a 3 club wind, I reckon - and the rough is heavy and thick and wet. I was in the heavy stuff on the 3rd, moved the ball about five yards and never found it. Top tip of the day... avoid the rough at all costs! My buddy Finbarr, back from New York to play in this event - alongside Ronan and myself - for the 5th consecutive year, scored 22 points... on the back nine... helped by a brilliant birdie on 18 where he almost drove the green (325 metres). Downwind it may have been but it's a blind drive. He had 37 points in all so he may, just may, be in the prizes. We'll find out later. You really won't find a better 'classic' than this. Carne and Enniscrone are two of my top three Irish golf courses in the country, and County Sligo is only just behind (top 10 certainly). 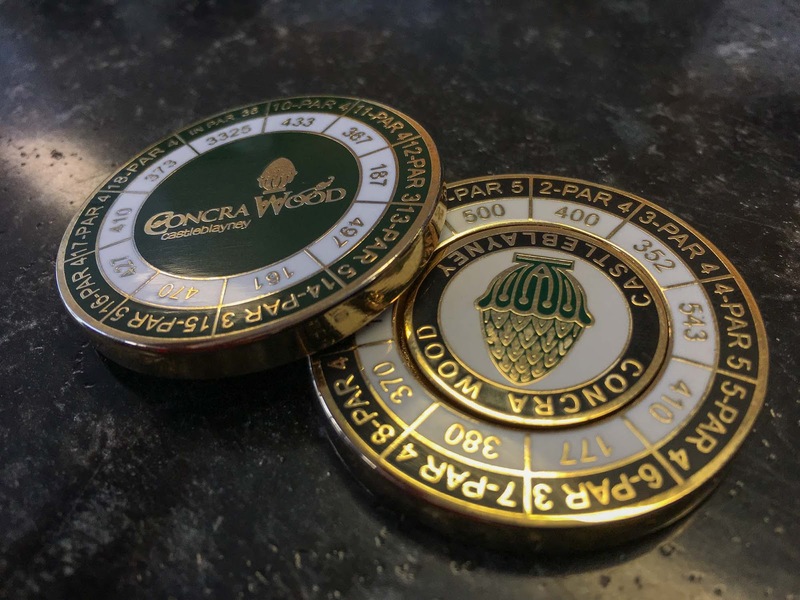 All for under €140, with the prospect of winning a share of the €6,000 prize fund. What's not to like about that. The only thing that constantly fooled us was the speed of the greens, which were slower than expected. Downhill putts simply weren't running out and you could afford to be a touch aggressive on your shots around the green. In the past, the greens have been far slicker. 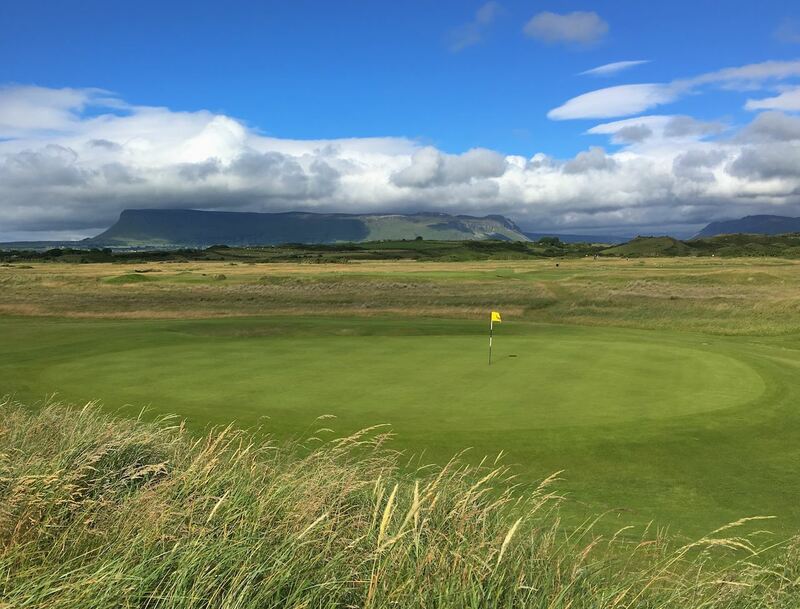 County Sligo is a beautiful course in one of the most remarkable of settings. Benbulben is visible from almost every hole and the views stretch endlessly to distant mountains and ocean. The course is having an 'upgrade' at the moment... and I'll nail my colours to the mast by saying I'm not happy about that. 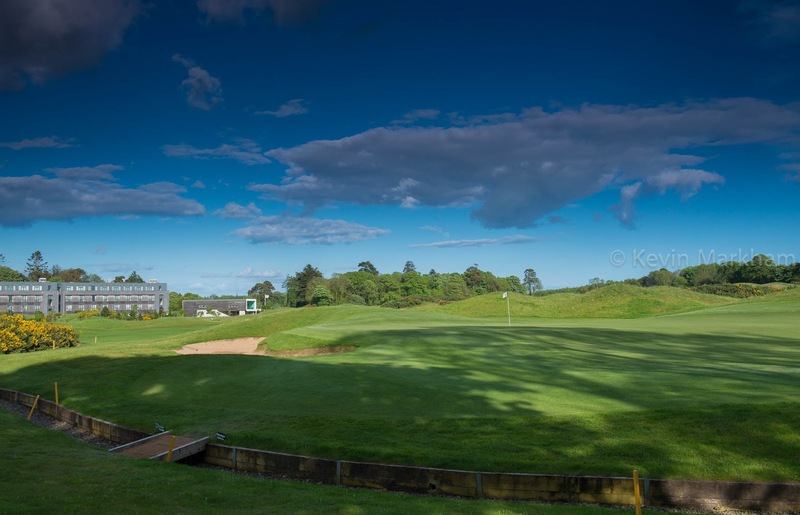 Pat Ruddy is making the changes so you can decide for yourself when you play here what you think of the extended greens (the Harry Colt originals remain untouched) and the new bunkers which appear on a few holes. 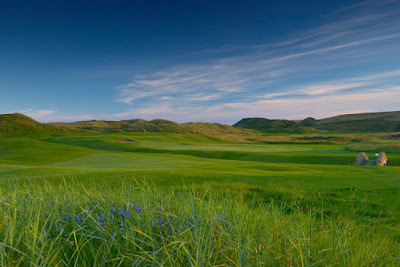 My feeling has always been that you don't mess with greatness and, for me, that's what County Sligo has.